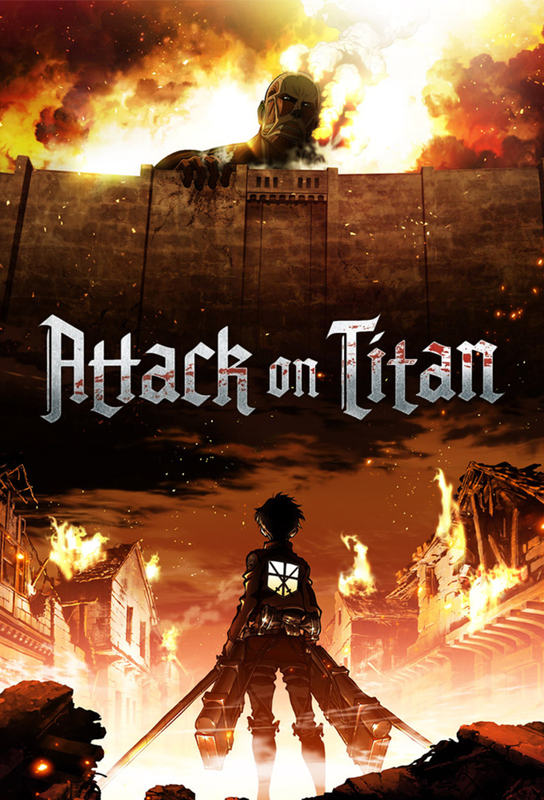 Attack on Titan made its unforgettable explosive debut adaptation during the latter months of 2013. The plot begins centuries ago, with human race being pushed to the very edge of extinction by the formidable titan race. Forced to hide behind three great walls, humankind has slowly forgotten the horrors of the past and have managed to live a relatively peaceful existence. That is until one day when from out of nowhere, a monumental titan (the size of which had never been seen), appears in a flash and punctures a hole on one of te great walls, thus allowing for the titan horde to fall upon mankind one again. One you boy name Eren Yeager, whose dream it is to join the scouts, tragically loses his mother to one of the titans. From that day forth, he swears vengeance upon the titans and will stop at nothing to wipe them all out. My Review: I would be remiss if I failed to acknowledge the monumental splash Attack on Titan made, becoming a mainstream title known around the globe. So when it came to watching it, I had high hopes, but as you may have guessed, I was disappointed. Don’t get me wrong, I enjoyed the show and absolutely loved the fast paced flurry of the action scenes. But for me I just found myself getting bored when it came to the actual plot. I liked most of the first half, doing a great job of really building the world. But while the second half did introduce some interesting concepts that I would love to see be explored more greatly, It just sort of fell flat, not to mention the great many filler episodes. One thing I did like was its unique art style of strong bold lines around the characters. I rate this anime 2.5/5.